The oil and business press is abuzz with predictions of an imminent Venezuelan financial collapse, as a prelude to its political implosion, which should oust President Maduro and erase the Hugo Chaves ambitious experiment. The country is running out of money, and is unexpected to pay some US$ 3.5 Billion in international loans coming due in October/November 2017. Such a default will trigger creditors to seize its assets, especially oil export shipments, which would stall oil production and end its last hope of salvation. A very dire prediction indeed. It not only psychologically undermines the Venezuelan population and government, but also, scares off banks and financial institutions from dealing with a stricken nation. 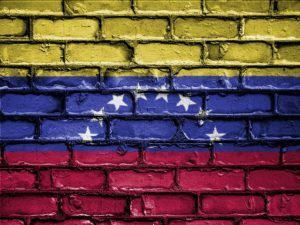 Western banks are reported to have stopped issuing letters of credit to buyers of Venezuelan oil, let alone extend new credit, or postpone loans coming due for payment. So, Venezuela seems to have been set up to fall and become a collapsed state, after which it can be saved by the opposition, backed by western credit and thus, return it to its preordained status as a ‘backyard’ vegetable! As for its OPEC partners, they are watching from the sidelines, drooling at the prospect of Venezuelan oil going off the market and triggering the, oft prayed for, spike in oil prices. All the above assumes that Venezuela is a docile nation, population wise and government wise. That it doesn’t have the wherewithal to survive, the will power to resist or the intelligence to think outside the box – especially as it is deemed cornered, with the odds heavily stacked against it. But the facts are different, and Venezuela has reacted. Initially, by borrowing from China and Russia against oil deliveries, but more importantly, it was recently announced that it had consigned its oil sales to Rosneft, the Russian oil and gas giant, who has so far sold the entire Venezuelan oil production until December, including sales to major US oil companies and refineries. This a smart move, that guarantees Venezuelan oil is neither embargoed, seized nor are its payments withheld. Additionally, Venezuela continues to sell some of its oil assets (upstream and downstream) to Russia and China and hence ensuring proper funding for its oil operations. If this development is allowed to continue, the chances of a Venezuelan (and Nigerian) oil production disruption diminish, and the argument for an oil price spike falters. Not only so, but in a worst-case scenario, Venezuela (and Nigeria) can, in desperation, dump oil on the markets and crash prices like never seen before. From a geopolitical aspect, this means ever closer relations with Russia and China, which together with a couple more anti-western South American countries, could result in a ‘backyard’ full of pickles! Will it be allowed to happen, or are we about to witness another ‘North Korean’ drama, but this time in South America? Next Next post: OOPS… Oil Supply could increase 6 times!